And the pork? And chicken? And the art? 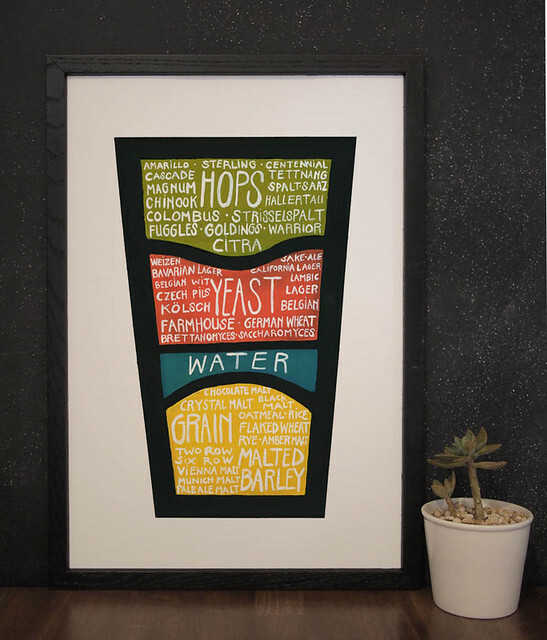 Know Your Beer - 13 x 19 print available here. Things have been quiet here on MEAT SECTIONS, but not for me. MEAT SECTIONS began as a daily art project in 2010, and was intended for nothing more than to keep my sanity and to be creative while I was unemployed and "on sabbatical." 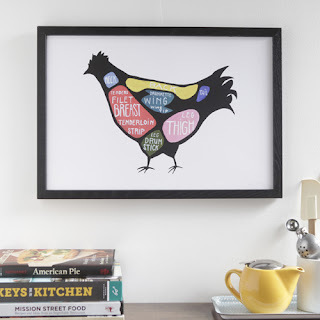 Use Every Part - Chicken 13 x 19 available here. I never expected to turn the art from this blog into a full-time business, but I am proud and excited every day that it did. So first of all, thank you, sincerely, to everyone who has come to the blog, left a comment, or even purchased their own print. You've allowed me to make a career out of selling meat art, which really really really few people can say. But since this has grown from a daily art blog into a full-on business, from here forward, I'll be posting only on my main blog, drywell art - the blog. (I know. Clever title). There will still be meat art galore, as well as recipes, advice for creative biz, and behind-the-scenes stuff. Oh, and a lot about food. So change your RSS feeds, adjust your following, and come over to drywell art - the blog.